In the past 2 years, I’ve visited quite a few European cities (Prague, Budapest and Warsaw to name a few), so I have a good idea of how much meals, tourist attractions and public transport cost in different places. 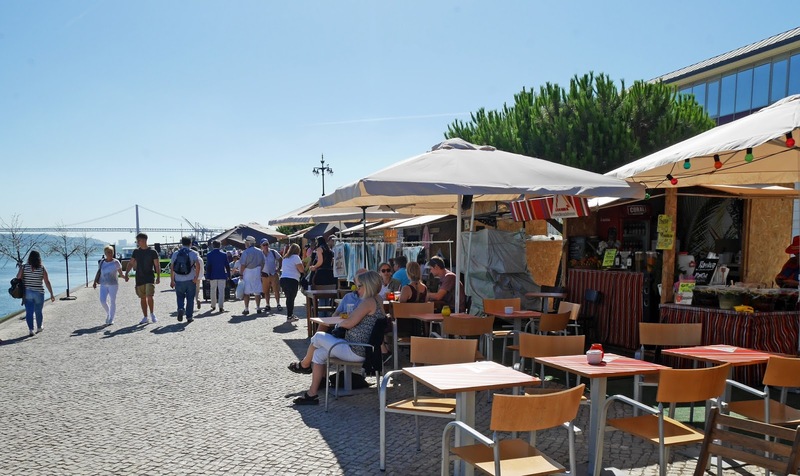 One of the reasons that we picked Lisbon for our June trip was the fact that it was described as relatively affordable on tourist websites. Now you can never fully rely on reviews like this because everybody has different budgets, but I always think it’s good to know a little bit about how much spending money you’ll need for a trip before you actually book the trip. 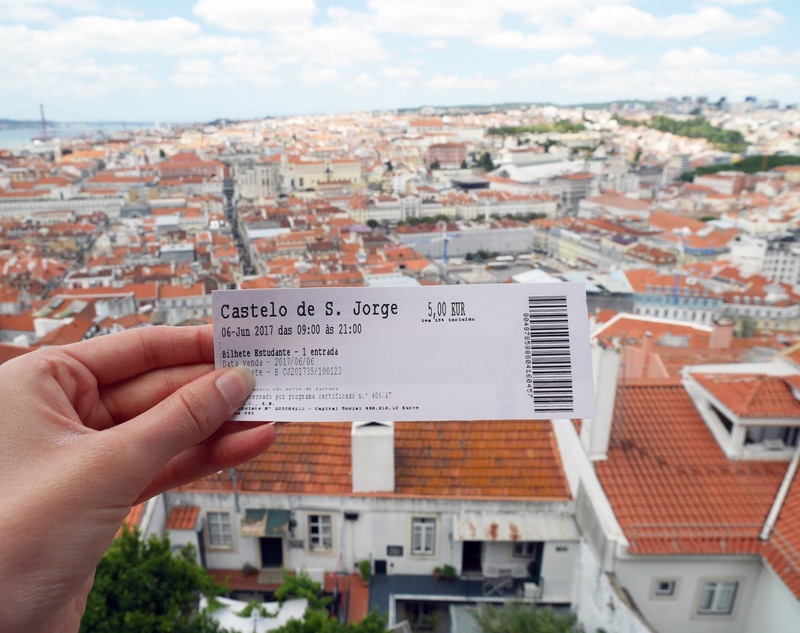 The purpose of today’s post is to give you a detailed overview of costs in Lisbon, especially as it’s a very large city and you’re likely to need public transport a lot more than you would in say Prague. The majority of mail meals range from €8-15. 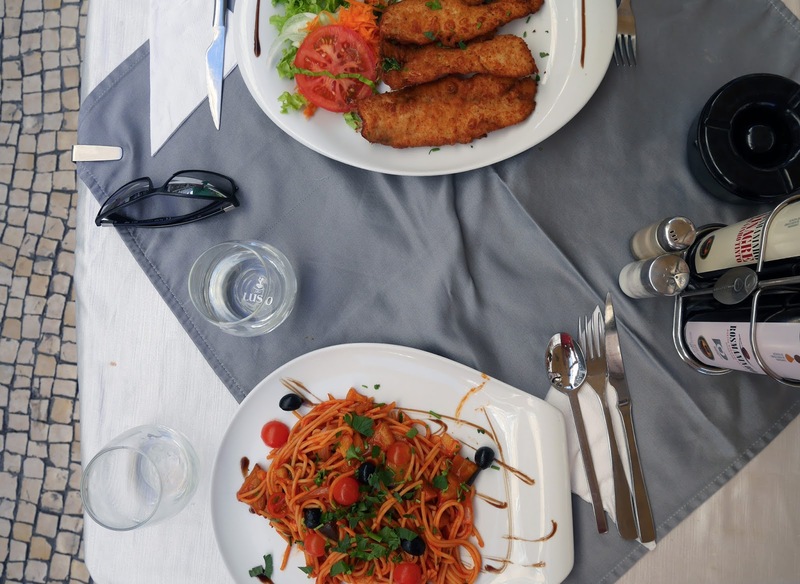 Usually you’d expect vegetarian meals to be on the cheaper side of this price bracket, but in Portugal things are a little different and it’s more affordable to order meat or fish. I’m not a huge meat eater so I often ordered vegetarian options and my meals were more expensive than Stuart’s meat or fish options. If you eat in Belèm, meals are around €8-12, whilst if you choose restaurants in downtown Lisbon, your meals will cost around €10-15. Like anywhere, I’d just avoid eating on the main tourist roads and squares, if you’re on a tight budget. There are lots of street-side vendors in Lisbon that sell bottles of water or soft drink for €1. As a non-drinker, I didn’t order cocktails or alcoholic options, but I got a vague idea of prices from one of the local markets. A cocktail in the riverbank market cost €6 and a small beer was only €2. We didn’t pay much at all for tourist attraction entry fees. If you have a student card, make sure you have it with you at all times, as you can get discounted tourist attraction tickets. With student discounts, the Belèm Tower was €3, the Lisbon Story Experience was €5 and Lisbon Castle was also €5. 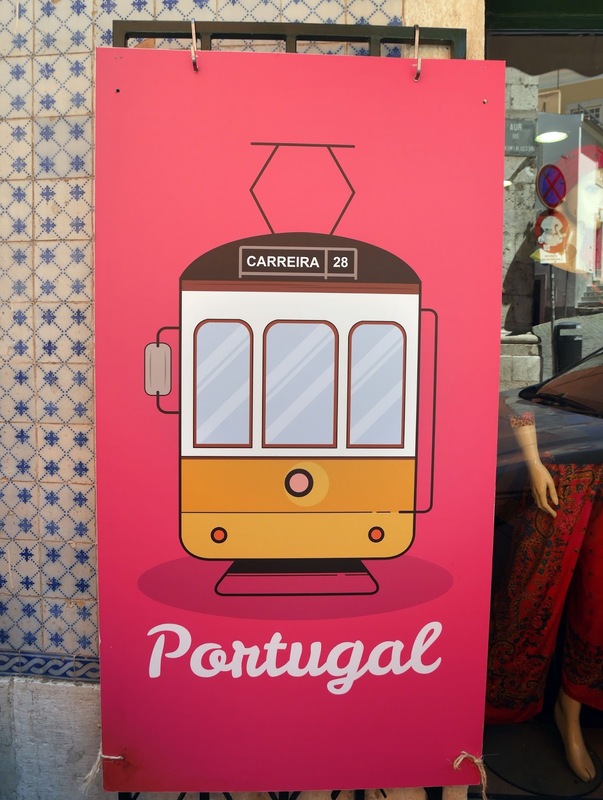 Lisbon isn’t somewhere that is flooded with entry fee tourist attractions, so you could probably budget about €20-30 total for tourist attractions for a 3 day trip. You will need to put aside quite a lot of change for public transport. Lisbon is very big, but also hilly, so walking through the streets can be incredibly tiring. We stayed in the Belèm district which is about 30 minutes walk from Cais du Sodre (the main train station) and most days, we’d get the bus or tram to Cais du Sodre and then walk to the centre from the station. The buses are just under €2 a journey, the vintage trams are €2.90 a journey and if you’re using them often, you can end up paying quite a lot for transport. The most affordable option for getting around the city is the Metro. You pay €0.50 for a rechargeable card and then you top up the card with €1.45 for every journey you require. 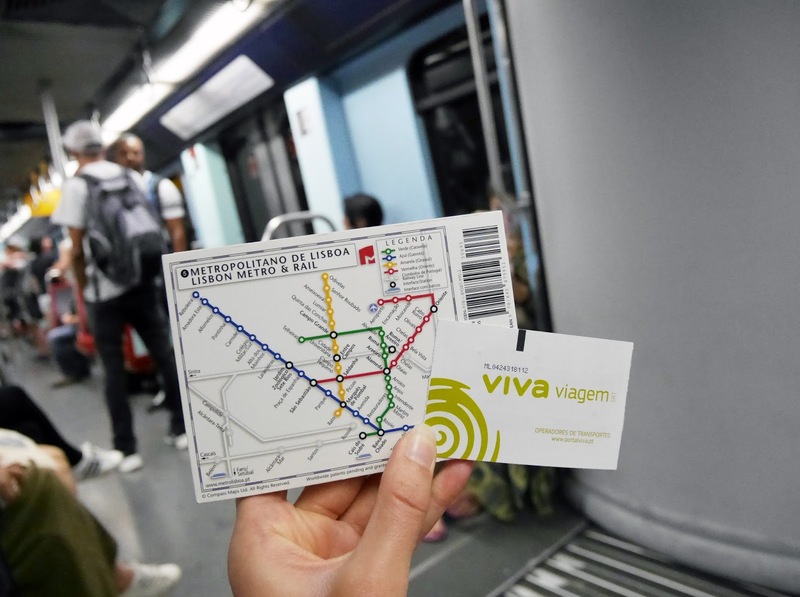 The Metro is also the cheapest way to get to Lisbon airport, as you’d end up paying €4 a person if you travelled there on the airport transfer bus. On the whole, Lisbon is on the cheaper side of the cities I’ve visited, but it isn't as affordable as Prague, Warsaw or Budapest. I spent between €120 and €130 over 3 days and that included buying a few souvenirs. I hope this budgeting guide has been helpful. Have you ever been to Lisbon? Did you find it affordable? This is a fab post Kat! I would love to visit Lisbon some day but would never have thought to read specific blog posts for budgeting tips. Will definitely refer back to this if I ever make it there. This is a really helpful breakdown, thank you! I'd love to get to Lisbon and it's really handy to know roughly how much I'd need to take with me - sometimes you have no idea!